Nationally certified and state licensed full service home and commercial property inspections..
Crossroads Property Restoration, LLC is a damage restoration contractor serving the Brecksville, OH area since 2000. 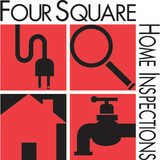 Services include Water Damage Restoration, Emergency Water Removal, Emergency Plumbing, Storm Damage, Flood Damage, Fallen Tree, Fire Damage Restoration, Smoke Damage Restoration, Disaster Cleanup, Burst Pipes, Water Heater Leak, Basement Flood, Appliance Leaks, Dry Out Services, Roof Leak Repair, Toilet Overflow, Leak Detection, Vandalism Damage, Board Up Services, Mold Removal, Contents Cleaning, Puff Back Cleaning and Sewage Cleanup. The Airguard Difference- LIFE TIME WARRANTY GUARANTEED Our core values are integrity, satisfaction, education and value. There is a reason why 99.9% of our customers refer us to family, friends and colleagues. Your problems and concerns are our own. We pride ourselves on our ability to not only fix those problems, but ensure it never happens again. We have over 20 years experience in the mold remediation field dealing with basement mold, attic mold and all other moisture related issues. Our inspectors will get to the root of the problem for free and give you a tailored solution. Our work is backed by an industry leading Lifetime Fully Transferable Guarantee on some services restrictions apply see warranty for details . 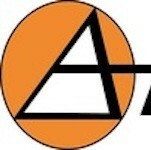 Airguard restoration specializes in residential, commercial, and industrial mold and moisture problems. Whether your selling your home and need to get rid of the mold for pending inspection, or you're a healthcare facility that wants to ensure the well being of your patients we have a solution. We offer several options including 100% non toxic green processes. We work with banks, realtors and home inspection teams daily and know exactly what they require when you buy or sell your home. Mold can grow anywhere in your home, because of that we are not just a mold team. We specialize in all areas of restoration from drywall, to basement waterproofing, roofing and insulation we are your local comprehensive solution. Hepa Air Scrubber Rentals of Cleveland OH & Red Sky Rentals provide comprehensive equipment rental solutions for all of your immediate disaster, water damage and fire restoration needs nationwide. Our portable air scrubbers are ideal for homeowners and contractors dealing with the effects of fire, smoke or water damage. We can quickly provide the disaster cleanup and remediation equipment you need anywhere in the Cleveland OH & surrounding areas! 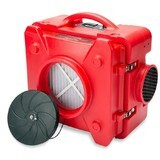 VIsit <a rel="nofollow" target="_blank" href="http://www.HepaAirScrubber.com">http://www.HepaAirScrubber.com</a> or call 800-391-3037 for lowest price and cost for Akron OH Air Scrubber Rentals today! Red Sky Rentals provides comprehensive equipment rental solutions for all of your immediate disaster, water damage and fire restoration needs nationwide. Our portable air scrubbers are ideal for homeowners and contractors dealing with the effects of fire, smoke or water damage. We can quickly provide the disaster cleanup and remediation equipment you need. Water Mold & Fire is who the people of Cleveland turn to when their home or business needs water damage restoration, mold removal, or fire damage restoration services. Our company is standing by 24 hours a day, 7 days a week, 365 days a year to make sure we are available when you need us most. These problems often happen when least expected, so it is important to have immediate response available to avoid even bigger problems down the road. So if you are currently experiencing these types of issues in or around Cleveland at your home or business, give us a call. For over a decade, Defense Pest Control has been the Residential and Commercial Pest Control Company of choice for homeowners and businesses in Greater Cleveland area NE & NW Ohio. We offer thorough pest inspections, Wood Destroying Insect (WDI) inspections for real estate and expert insect control targeting bed bugs, ants, cockroaches, mosquitoes, fleas, spiders and stinging insects like carpenter bees, hornets and wasps as well as hive and nest removals. A few of our specialized treatment options include bed bug canine detection, chemical & green bed bug heat technology heat treatment and mosquito fogging. We also offer successful rodent and wildlife removals and exclusion to prevent their unwanted return. Defense Pest Control is locally, family and Veteran owned and operated as well as licensed, insured and certified in all areas of our trade. We service Cuyahoga, Summit, Portage, Lorain, Franklin, Geauga, Lake, Stark and Wayne Counties of Ohio. 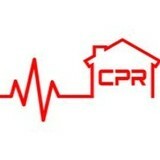 We offer child and pet friendly treatments, Eco friendly green service options and preventative exterior power spray. At Defense Pest Control, we understand how unsettling and unnerving the discovery of a pest infestation can be. No one wants to face the grim reality of having rats, cockroaches or ants running around inside their walls, kitchen, or anywhere they consider home or work. Ignoring the problem will not make it go away, and this is why Defense Pest Control is dedicated to offering as much information about pests as possible. We want you to know what you are up against so you can relax in knowing we have a solution to all your pest problems. We offer senior and veteran discounts as well as customizable, flexible service plans with no contracts necessary. Give us a call; we are ready to serve you today! Xpert Restoration, Inc is a disaster restoration contractor serving the Brunswick, OH area. Services include Water Damage Restoration, Commercial Restoration, Fire Damage Restoration, Mold Testing & Remediation, Trauma Scene Clean Up, Emergency Water Extraction, Dry Out Services, Storm Damage, Sewage Cleanup, Bathroom Flood, Board Up Services, Burst Pipes, Construction Services, Emergency Plumbing, Fallen Tree Damage, Flood Damage, Roof Replacement, Smoke & Odor Removal, Sprinkler System Flood, Basement Waterproofing and Appliance Leaks. Dr Flood LLC is a water damage restoration serving the Chagrin Falls, OH area since 2000. Services include Water Damage Restoration, Emergency Water Removal, Emergency Plumbing, Dry Out Services, Appliance Leaks, Water Heater Leak, Burst Pipe, Flood Damage, Sewage Cleanup, Fire Damage Restoration, Smoke Damage Restoration, Frozen Pipes, Mold Remediation, Mold Testing, Odor Removal, Storm Damage, Fallen Tree Damage and Trauma Scene Clean Up. We use our One-Step-at-A-Time approach. Other companies advertise interior methods of waterproofing that at first seem to be quick and easy solutions, but actually allow water to continue to enter your basement. Using the Exterior Method we prevent water from entering your basement by excavating the existing drainage system which surrounds your foundation and by replacing it with one that directs the flow of water away from your house and into the sewer. 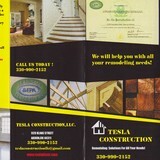 Thus we create a dry basement that is permanently resistant to water. We will work strictly by hand, or with the assistance of a machine (mini-excavator) - it's your choice. Either way, we prevent any damage to your property, and when we are finished, the excavated area is prepared for future landscaping and/or gardening. We are a locally owned and operated company with over 10 years of experience that offers rapid and reliable restoration services to Northeast, Ohio. Whether it is smoke, water, fire, storm, or mold restoration needed, we are here to help. When water or fire damage occurs in your Brunswick-area home or business, call PuroClean Professional Services to start your journey to full recovery. Owner Mike Moorhead & Ron Woods and the team know how challenging water damage, mold damage or fire damage can be to you and your family. It’s not the time to choose the wrong provider. PuroClean has a proven combination of training, state of the art equipment and efficient relationships with insurance and other partners in your area. Our recovery systems have been successfully used thousands of times across the nation, as well as in Ohio. Find environmental services and restoration professionals on Houzz. Narrow your search in the Professionals section to Parma Heights, OH residential environmental testing and home disaster restoration services to find a list of qualified professionals. Read through professional profiles for information on qualifications, experience and services provided.